1 Start Consignor Server by right clicking on the icon in the bottom right of your main screen and selecting the Details menu option. 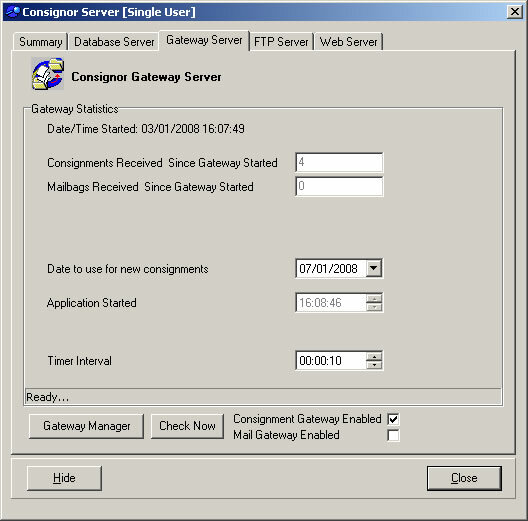 3 Make sure that Start Consignments Gateway When Consignor Server Is Started is ticked. 4 Click on the Consignments tab and select Post, with Labels. 5 Click on the Consignments Schema tab. You should download and save the schema (from here) to the \\SHOP\bpdata\consignor\GatewayTest directory. Where SHOP is the name of your PC. You should then download and save the sample file (from here) to the \\SHOP\bpdata\consignor\GatewayTest directory. Tick the Delimited ImportType and enter ~ as the character. 6 Click on F2 Save to save the changes. 1 Download (from here) Import the BusinessPost.mev view (from the Select Columns dialog). This is installed into the installation directory (e.g. C:\Program Files\MoleEnd\1StopOrders\V8). 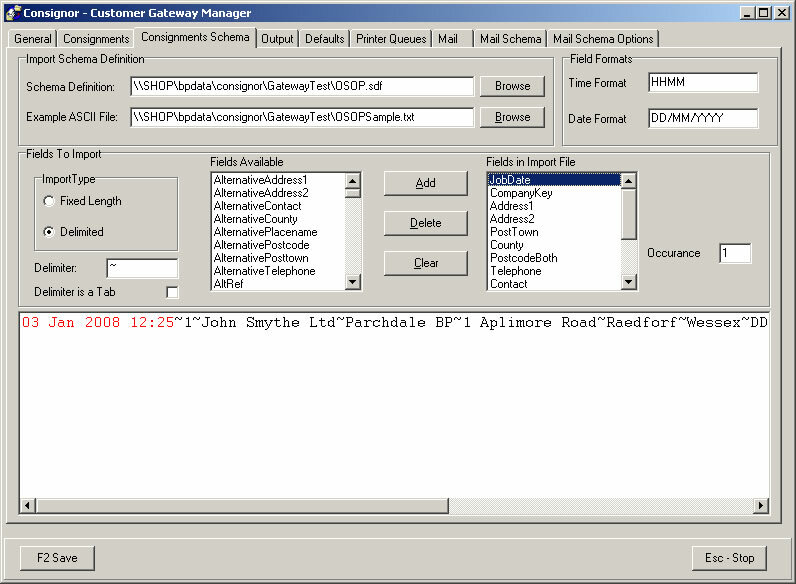 This displays more columns that will be exported to Business Post (for example, Items Shipped). These are used to find order information (or for filtering). These columns are not exported. 2 Select the orders to print labels for. You can either export all the displayed orders or all the selected orders. 3 Press the Export Orders button. 4 Type in the name of the file to export to \\SHOP\bpdata\Consignor\GatewayIn\bpdata.txt, where SHOP is name of your PC where Consignor is installed. When you install Consignor your main data area is shared with the share name bpdata. 5 Click the Export orders button to create the order details. These will be picked up by Consignor and printed onto the labels. 6 You can then send the customer an email that allows them to track their order using a link directly to their order. To do this use the Business Post Email template. 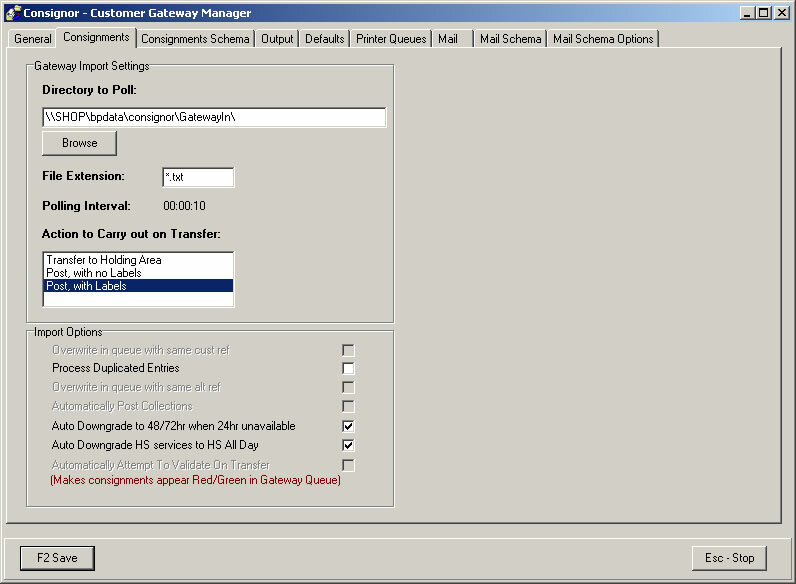 The default settings are for the number of labels to be printed to match the number of items shipped using the Business Post Next Day service. Also Business Post also requires the weight of the item to be given. The default value is to weight each parcel as 8 Kilos. If you don't enter this value or it is too low Business Post should update it with their weighed amount. Use the following information to change the details on all orders or on a per order. 1. If your default service level is not 1 (Next Day) enter a new value. To do this click on the Select Columns button, click on the BP Service field and click on the Amend field details. In the field details dialog change the Default field value to match your service level. You can change this on a per order basis by using a Custom Value:Entered for each order variable and amending the order details in the Custom values page when viewing order details (click the Edit order details button first). 2. The number of labels to print is defaulted from the items shipped. If these match then you can leave the value. 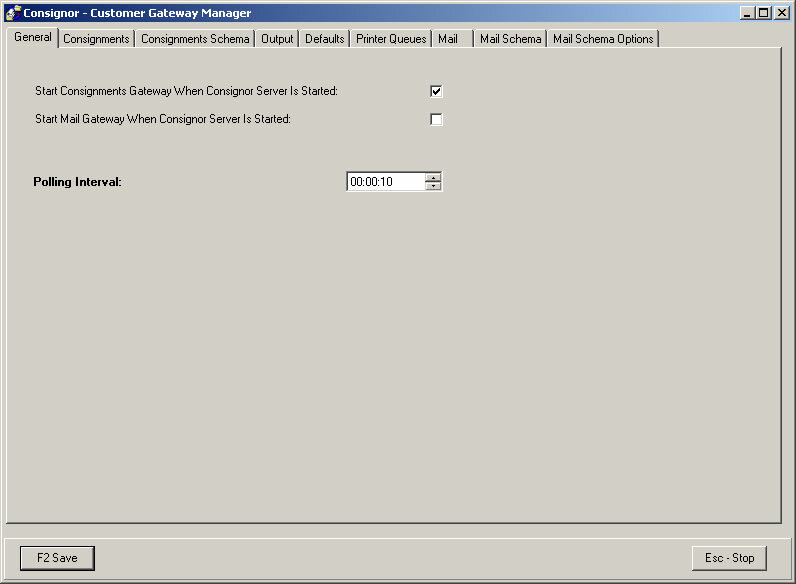 However, if a particular order has a different value amend the order details as described in 1. (above). If you always have a fixed number of items amend the default value of the column to that number (using the approach described in 1. (above). If the number of labels is relative to the number of items shipped (e.g. plus 1 label or 2 times the number of labels) amend the default value by using a calculation.